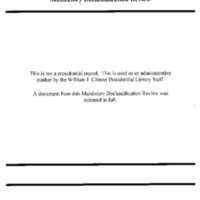 This Mandatory Declassification Review contains the memorandum of conversation (memcon) between President William J. Clinton and Russian President Boris Yeltsin from the G7 Summit in Birmingham, England on May 17, 1998. 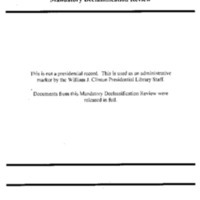 This Mandatory Declassification Review contains the memorandum of conversation (memcon) between President William J. Clinton and Russian President Boris Yeltsin from the G7 Summit in Tokyo on July 14, 1993. 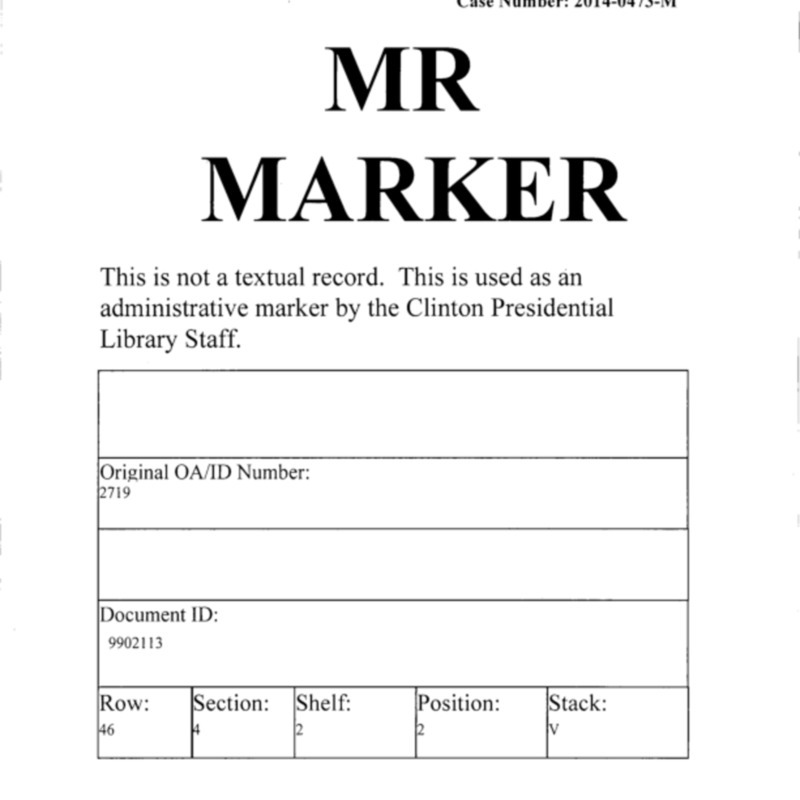 This Mandatory Declassification Review contains memorandum of conversations (memcons) between President William J. Clinton and Russian President Boris Yeltsin from their meetings in Hyde Park, New York on October 23, 1995. 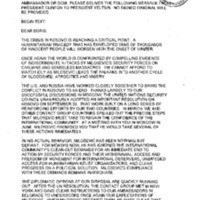 This Mandatory Declassification Review contains material related to a March 23, 1999 letter from Russian President Boris Yeltsin to President William J. Clinton regarding Kosovo. 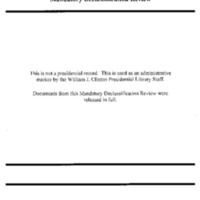 This Mandatory Declassification Review contains memorandum of conversations (memcons) and memorandum of telephone conversations (telcons) between President Clinton and President Boris Yeltsin of Russia, April 21, 1996 through December 31, 1999. This Mandatory Declassification Review contains memorandum of conversations (memcons) and memorandum of telephone conversations (telcons) between President Clinton and President Boris Yeltsin of Russia, January 23, 1993 through April 21, 1996. 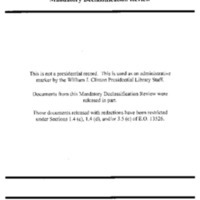 This Mandatory Declassification Review contains a memorandum of conversation between President Clinton and President Yeltsin for their meeting in Sharm el-Sheikh, Egypt on March 13, 1996. 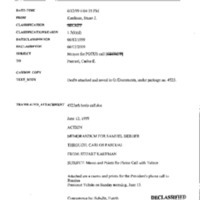 This Mandatory Declassification Review contains material on a meeting between President Clinton and Russian President Boris Yeltsin in Halifax, Nova Scotia on June 17, 1995. 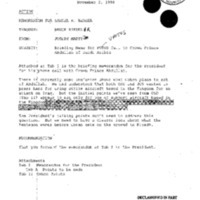 Materials include a memorandum of conversation between the two Presidents. 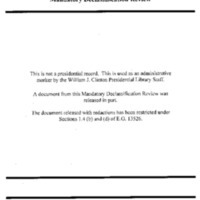 This Mandatory Declassification Review contains a memorandum of conversation between President Clinton and President Yeltsin for their meeting in Moscow on May 10, 1995. 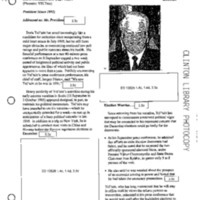 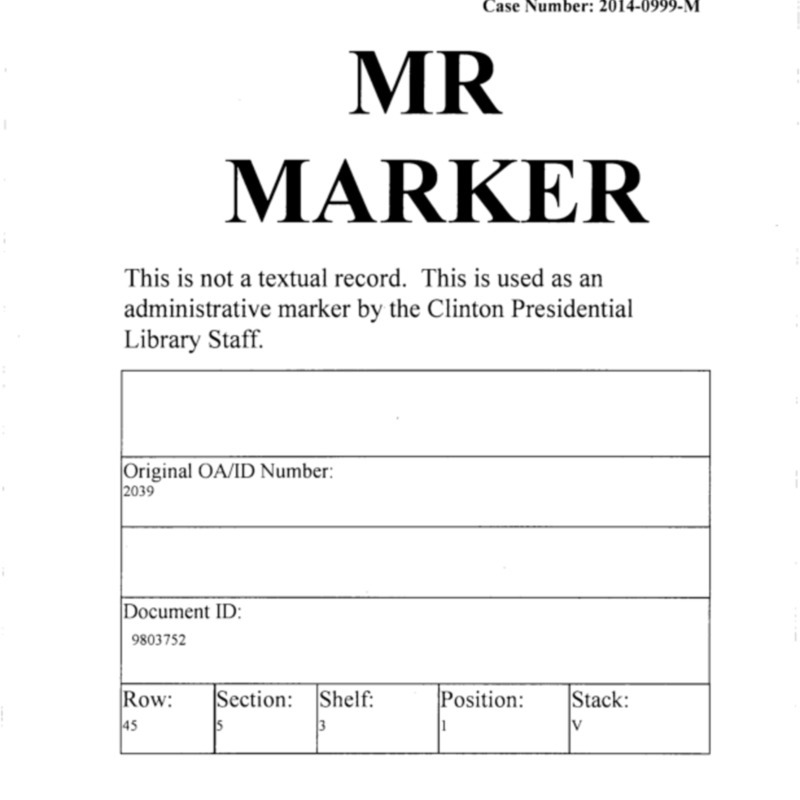 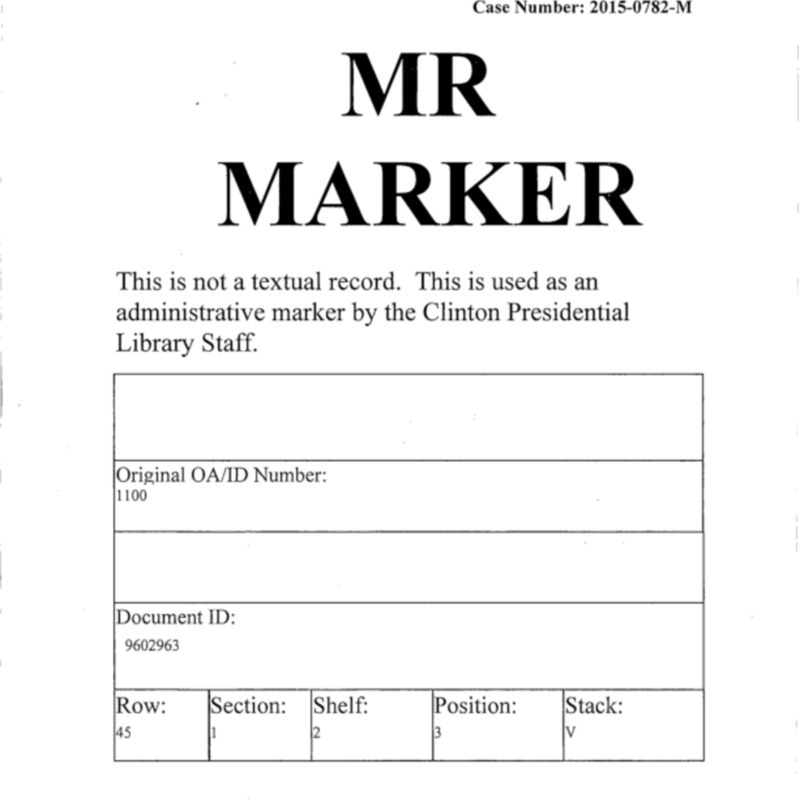 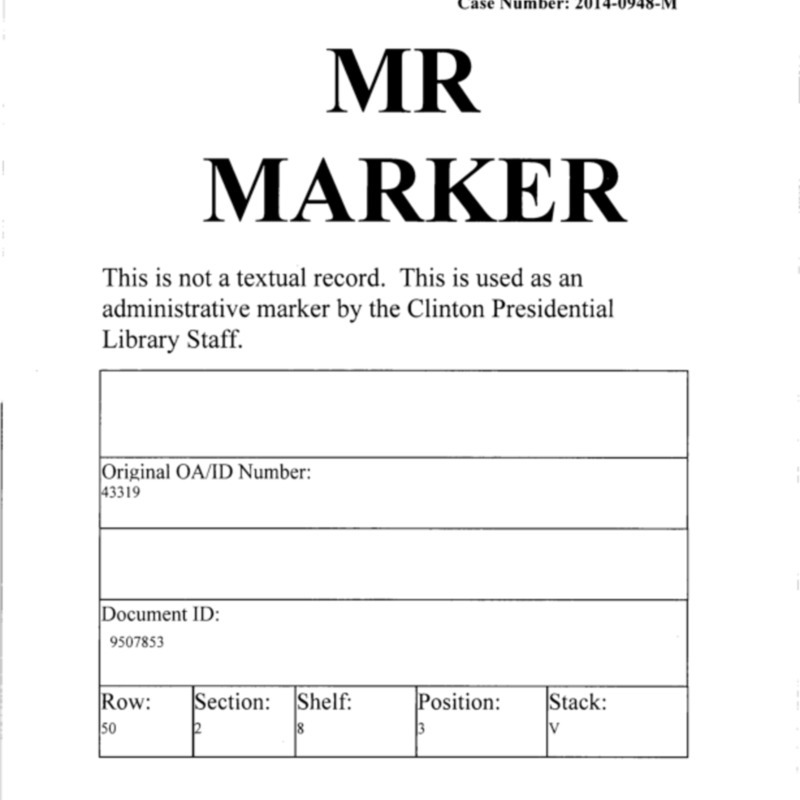 This Mandatory Declassification Review contains material from the briefing book for President Clinton's meeting with Russian President Boris Yeltsin on October 23, 1995 at Hyde Park, NY. 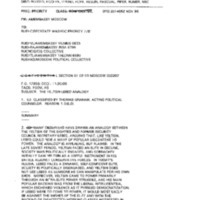 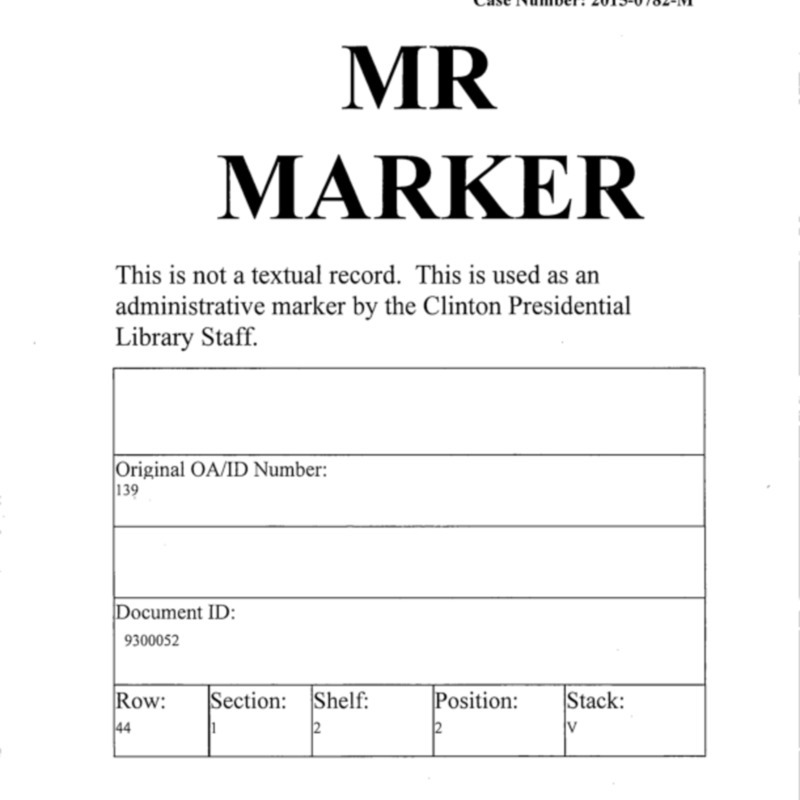 Materials include biographic reports for President Yeltsin and Russian Minister of Defense Pavel Grachev.